Auto, Car, Business, Life, Home Insurance in Louisville Kentucky - Joe Maupin Insurance Agency, Inc. Welcome to Joe Maupin Insurance Agency, Inc.
Joe Maupin Insurance is an independent insurance agency. This means we are not limited to providing policies from a single provider and thier single rate. We have many of the best companies available for your quick online quotes. You don't have to spend hours comparison shopping to get the best coverage for your money - we can do that for you. It's our specialty. 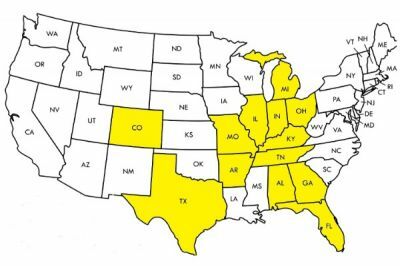 We service not only the Louisville area and the state of Kentucky, but also Arkansas, Alabama, Colorado, Florida, Georgia, Illinois, Indiana, Michigan, Missouri, Ohio, Tennessee, and Texas. At Joe Maupin Insurance Agency, Inc., each one of our clients has a dedicated team of agents working together to provide the very best coverage at the very best price. We offer all types of Personal Insurance coverages to our clients including standard Life, Home, Renters, Auto and Motorcycle Insurance. But we also insure "toys", including boats, ATVs, and recreational vehicles. We can even insure your peace of mind with a million dollar (or more) umbrella policy. We can also save you money on your Business Insurance. Our Commercial insurance coverages include Business Owners Policy (BOP) , General Liability, Commercial Property and Auto, and Workman's Compensation to name just a few. Let us help you cut your insurance cost. Give us a call today at 502-500-2288 or Submit one of our quick online quote forms. With the help of our dedicated business partners, we'll find the right solution for all your insurance needs. ~~Jeremy M. "Never thought I'd like having an agent. But I'm telling you Joe goes way beyond his job title to make sure his customers are taken care of. Couldn't be happier dealing with these guys. A great, great group of people!!!"